40 pairs shoes for doll(send randomly). Color: Multi color (Send at random color. ). We would highly appreciate the chance to follow up with you if needed. Cell Phone Accessories. Trending at C $4.49eBay determines this price through a machine-learned model of the product's sale prices within the last 90 days. New Listing2015 MGA-Bratz Fashion Pack- "Kisses XOXO" Set-Brand New & Sealed!! 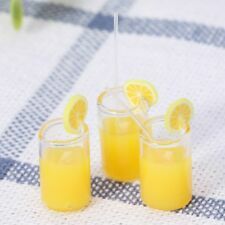 Mini cute lemon cup, nice doll accessories doll house accessories. Quantity: 2PCS. Material: Safe Eco- friendly ABS. Size: One Size. Height: 1.2cm (0.47in). 1:12 Miniature Globe Rolling World Map for Doll House DIY Craft Accessories. 1 Miniature Globe Rolling World Map for Doll House. 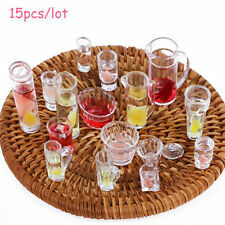 Mini accessory for doll house decoration, cute and attractive. Note: The real color of the item may be slightly different from the pictures shown on website caused by many factors such as brightness of your monitor and light brightness. Made of wood, cloth, resin, paper and plastic material, tiny and cute, a great toy for children. Type: Tiny House. - This 3D puzzle is a wonderful way of leisure, and way to relieve stress. These toys contain small parts, not for children under 3 years in case of swallowing or choking. Genuine American Girl Doll clothing/shoes. Four pairs of shoes, three outfits, socks, tights and hangers. All in great condition. Such magic bottles: When you feed the dolls,the milk will disappear. Material:plastic bottle with liquid.